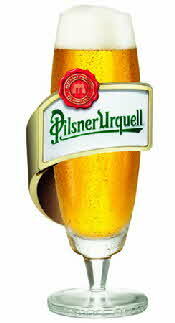 • Pilsner Urquell is a child of both Bohemia and Bohemianism. The beer was born in the town of Plzen (or Pilsen) in Bohemia, a land rich in both human and natural resources, which lies at the heart of what is today the Czech Republic. The medieval kingdom of Bohemia was the cosmopolitan crossroads of Europe. A cultural and intellectual magnet, attracting scholars, artists and technological pioneers from both East and West. It was a crucible of creativity and industry whose ideas soon spread out across neighbouring lands. Through time the legacy of this Bohemia has also come to be a place of the mind. Bohemians being those who think outside of the accepted, living life true to themselves, by their own rules and standards. Czech people have always had a penchant for being able to see what others can’t. The great astronomer and mathematician Kepler saw that the planets moved in a different way to everyone else. The surrealist photographer Sudek saw the most sublime beauty in the mundane. Then of course there is Kafka who saw, well everything differently. When you see things differently, with a deeper perspective, with your own discerning eye, you can make those things that make life better. And what the Czech people make better than anyone, is beer. Pilsner Urquell put the town of Plzen on the map. But it was the people of Plzen who put brewing and the brewery at the heart of the town. Plzen was founded by King Wenceslas II in 1295 and it was he who gave the citizens of Plzen the right to brew beer. It wasn’t long before brewing guilds were formed to ensure knowledge and techniques were passed on from generation to generation. Bohemia led the way in developing brewing techniques - for example, the Czech, Frantisek Poupe, is credited with being the first brewer to use a thermometer. However, this innovation still couldn’t keep pace with the demands of discerning beer drinkers in Plzen. At the start of the nineteenth century, the quality of beer everywhere was often poor and standards varied wildly. This prompted some of the Plzen's conscientious and passionate brewers to band together to find a way of producing a beer of a superior and more consistent quality. Their first decision was one of their finest, to appoint a young architect called Martin Stelzer. Travelling far and wide to study the best of brewery design he returned to Plzen with plans for the most modern brewery of the age. He chose a site on the banks of the city‘s Radbuza River, which offered a number of natural advantages - sandstone rock for the easy carving of large tunnels for cold storage, and aquifers supplying the soft water which would one day help make Plzen’s finest beer so distinctive. The first brewmaster, a visionary, young Bavarian Josef Groll, revolutionized how beer was brewed, looked and tasted. Beer as we know it has always been produced using the same basic ingredients, hops, barley and water, and for thousands of years was brewed in open vats with fermentation occurring at the top of the brew. Groll was able to look beyond what was possible and combine his knowledge of an innovative new bottom fermenting process, known as 'lagering', with his access to the finest local ingredients at Plzen: a special type of two-row fine-husk barley, the locally grown Saaz hops and of course the uniquely soft local water. In 1842 Josef Groll’s vision became reality. He succeeded in making a beer the best it could be. Josef Groll was an unlikely hero, so rude and bad-tempered he was described as the ‘coarsest man in the whole of Bavaria’ by his father. But it is the fate of every genius to challenge those around him. Throughout history those who have made a step change in their fields, those who have had an idea of true originality, have had one thing in common, the ability to see beyond the ordinary, and create something extraordinary. Sir Issac Newton observed an apple, and it changed how we see the world. A certain Mr Columbus discovered the New World by rejecting how everyone had seen the old one. And in 1842 Josef Groll created a beer that changed the way the world would see beer. From the dawn of civilization, beer had been a dark, murky liquid. Then a protest by the citizens of Plzen, Bohemia, inspired the change that would influence the entire beer industry and set the standard for all lagers. After furious citizens had dumped no less than 36 barrels of undrinkable sludge into the city’s gutters in 1838, it sparked off a remarkable chain of events - a new brewery building, an innovative new brewmaster and finally the world’s first golden beer. On 4 October 1842 in St Martin’s market, Plzen, Josef Groll unveiled his new creation to widespread sensation, after all a golden beer had never been seen before. News of this remarkable Plzen beer spread throughout Bohemia. The arrival of the railway and the beer's popularity amongst German and French tourists soon meant that Plzen's famous brew gained international appeal. But with success inevitably came competition. Josef Groll's original golden beer soon spawned many imitators, many of which also claimed to be Plzen or Pilsner beer, whether they came from Plzen or not. In fact, today Pilsner has become a generic term around the world for any bottom-fermented golden beer sold as 'pils' or 'pilsner'. In 1898, the brewery acted to protect itself against inferior competitors and the beer's name was changed to Pilsner Urquell- a German phrase meaning literally "from the original source, Plzen". Some say the name was changed to satisfy consumer demand for the original golden beer. But as those who know their beer will tell you: you can tell the original Pilsner by its slightly darker shade of gold, and of course by its taste which is a world apart. Discerning drinkers know, there was, and is, only one beer that has ever been brewed in Plzen, to Josef Groll’s epoch-making recipe and exacting standards. For nearly two centuries, our master brewers have maintained an obstinate dedication to ensuring that Pilsner Urquell provides the same special experience as it did back in 1842. The fact that this has been achieved is quite remarkable, particularly given the recent history of the region in which it’s brewed. The twentieth century wasn’t kind to this part of central Europe. The First World War changed everything, bringing about the collapse of the ruling Austro-Hungarian Empire and seeing the new state of Czechoslovakia rise from its rubble. Then came the Second World War and the German invasion, which were followed by forty years of communism and isolation from its Western neighbours. 1989 brought the Velvet Revolution, when Czechoslovakia split in two and everything changed once again... Or should we say nearly everything? Because over all this time, two things never changed: the Czech people’s passion for beer and the taste and quality of their favourite brew, Pilsner Urquell. Pilsner Urquell is now under the stewardship of the leading international brewer, SABMiller, who have dedicated themselves to preserving Groll’s legacy for the new millennium. Further investment has followed Martin Steltzer’s insistence that the brewery be state of the art, and that every modification should facilitate the "art" of brewing beer as it is meant to be. Pilsner Urquell is sold throughout the United States in six-pack bottles (typically about $7.99), 12-pack bottles (usually about $13.99 - $15.99), 22-ounce single serve bottles and on draught in bars and restaurants; and soon in 4-pack 500-ml cans (priced at around $7.99).